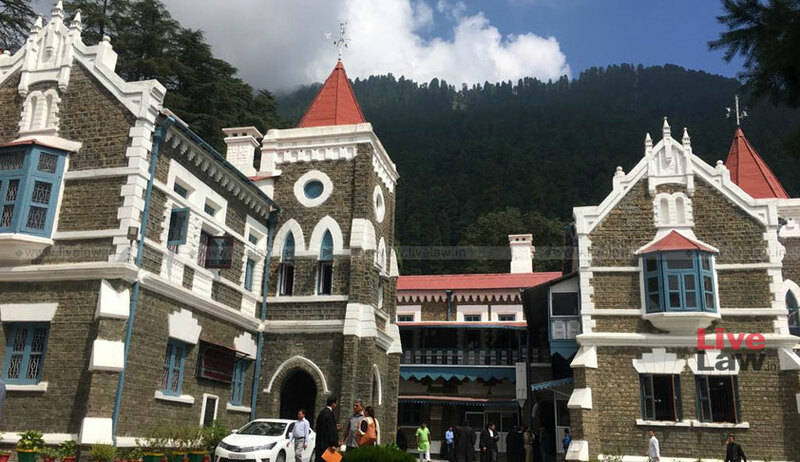 The Uttarakhand High Court has declared that provision for anticipatory bail under Section 438 of the Code of Criminal is applicable in the State of Uttarakhand. Section 438 of CrPC was made inapplicable in State of Uttar Pradesh, from which Uttarakhand was carved out in 2000, as per Section 9 of the Code of Criminal Procedure(Uttar Pradesh) Amendment 1976. The issue was whether the suspension of anticipatory bail provision as per 1976 UP Amendment was applicable to Uttarakhand as well. Raising this issue, a writ petition was filed in the Uttarakhand High Court seeking a declaration that Section 9 of the UP Amendment is not applicable to Uttarakhand. The learned Single Judge however dismissed the writ petitions. In the intra-court appeal, the Division Bench reversed the dismissal. The Division Bench of Acting Chief Justice Rajiv Sharma and Justice Manoj Kumar Tiwari noted that as per Section 87 of the Uttar Pradesh Reorganization Act 2000, the laws of Uttar Pradesh will be applicable to Uttarakhand beyond the period of two years from the formation of Uttarakhand only if the state specifically adopts those laws. The DB further noted that no Legislation, has been brought, till date, to adopt Section 9 of the Code of Criminal Procedure (Uttar Pradesh Amendment) Act, 1976. "We, after hearing learned Counsel for the parties, are of the considered view that neither the Code of Criminal Procedure (Uttar Pradesh Amendment) Act, 1976 (U.P. Act No.16 of 1976), as a whole, nor Section 9 of the Code of Criminal Procedure (Uttar Pradesh Amendment) Act, 1976 (U.P. Act No.16 of 1976) has been adapted by the State of Uttarakhand in terms of Section 87 of the U.P. Reorganization Act, 2000. Thus, Section 9 of the Code of Criminal Procedure (Uttar Pradesh Amendment) Act, 1976 (U.P. Act No.16 of 1976) will not be applicable in the State of Uttarakhand"., observed the bench.